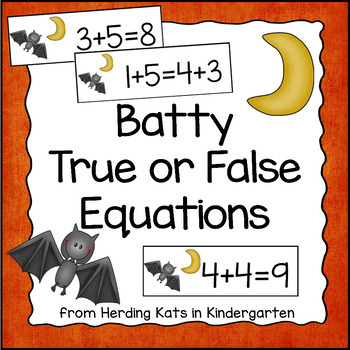 Batty Halloween Math: True or False Equations: great for small group lessons or math centers! 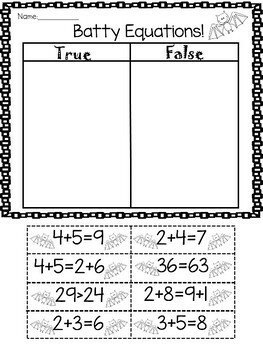 Students solve the addition sentences and decide if they are true or false! 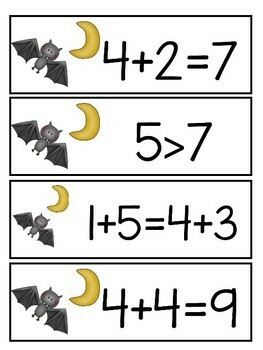 This fun pack addresses 1.OA.D.7: Understand the meaning of the equal sign, and determine if equations involving addition and subtraction are true or false. For example, which of the following equations are true and which are false? 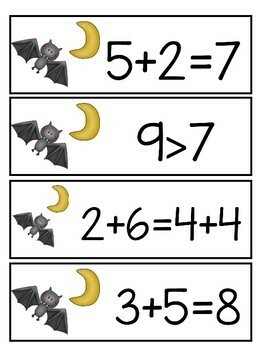 6 = 6, 7 = 8 – 1, 5 + 2 = 2 + 5, 4 + 1 = 5 + 2.